The Japanese have some pretty good diesels. Toyota’s 1.4 D-4D is the best small diesel in the world. Yet despite the economic advantages, diesel’s smutty reputation is against it. 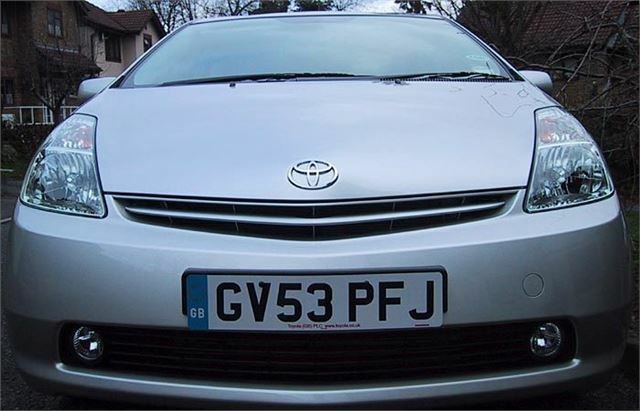 Which is why for the past ten years the Japanese have been developing and perfecting hybrids. Or, in other words, cars that combine petrol engines, electric motors and batteries to regenerate power and effectively use it twice. 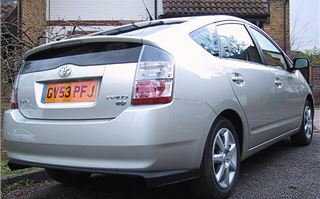 The original Prius and the Honda Insight were proper production cars you could go out and buy, then claw back a Powershift grant for helping to save the World. 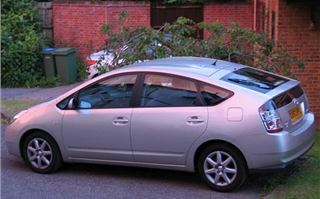 More than 100,000 old shape Prius were built and sold. Now we’re into the second generation of both. Honda has chosen to add hybrid technology to a standard Civic saloon. Toyota has created a totally “all new” car. It even looks futuristic, both outside and inside. 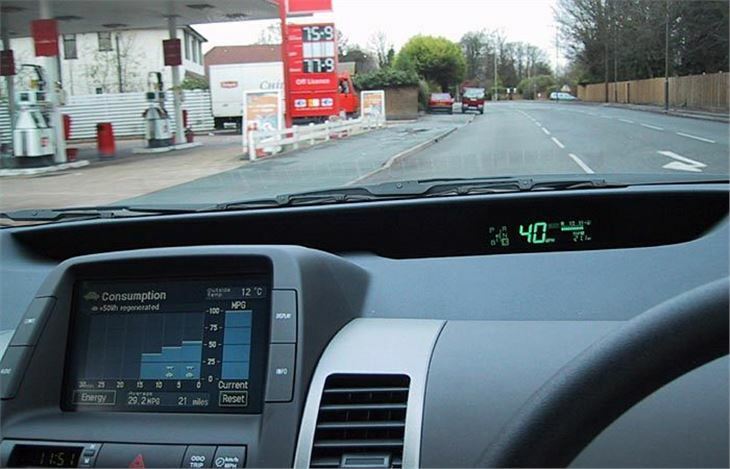 Instead of a conventional dashboard, the driver is confronted with a large computer screen and a line-of-sight, digital speedometer. The speedo is so clear and so frees up steering wheel adjustment it instantly makes all conventional dashboards seem hopelessly and ridiculously old fashioned. You push the electronic key into a socket, press the start button and the instruments spring into life. Then, instead of having to take a master’s degree in computer technology, you simply flick a little lever into ‘D’, kick the foot-operated parking brake, and you’re off. It really is that simple. The only small thing you have to remember is to press a button above the lever if you are stopped for any length of time and that, like most automatics, you have to touch the footbrake again to be allowed to re-engage Drive. In normal driving, you take off and drive on electrical power. The 500V motor delivers 50kW and 400Nm torque, which is roughly the equivalent of a 1.2 litre petrol engine. 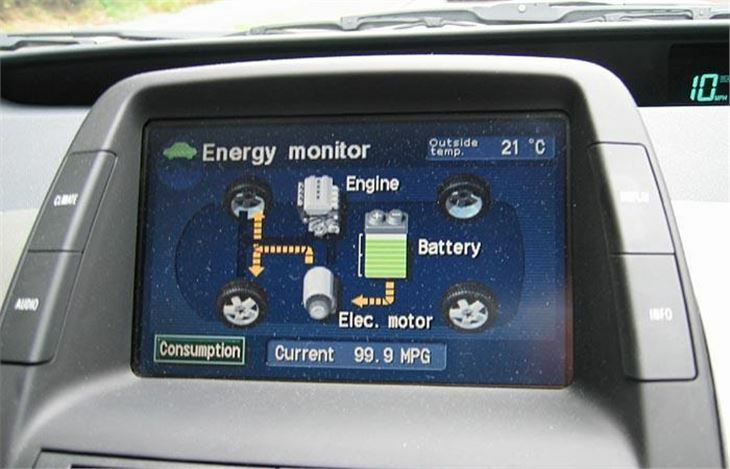 Then, as you cruise, the 1.5 litre petrol engine cuts in both to re-charge the batteries and drive the wheels. 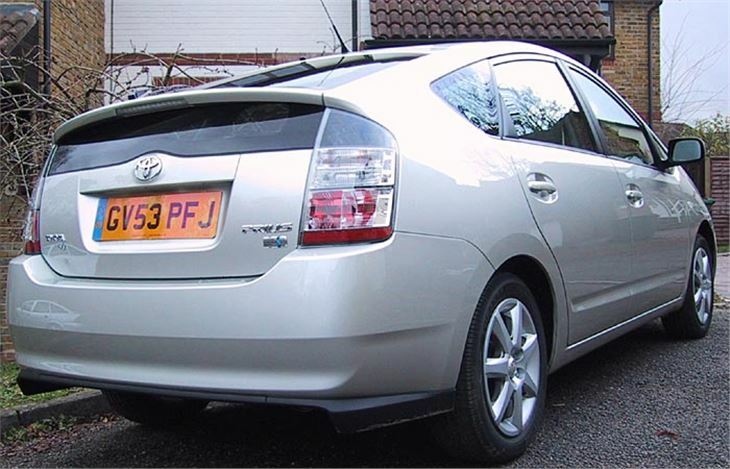 During sudden acceleration the electric motor gives back-up power to the petrol engine. Then, when you lift off, the coasting wheels turn the generator, re-charging the battery. 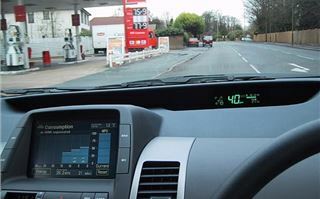 Once the battery has been brought to full charge a few times and once you get used to the necessary driving technique, you can start to get close to the 56.5mpg (urban) to 67.3mpg (extra urban) of which the car is capable. Alternatively you can press the EV button and drive on electric motor alone, creating zero emissions and a virtually silent drive. 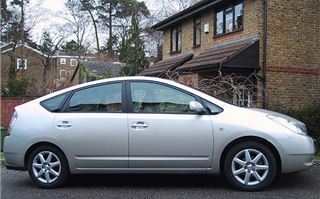 Toyota calls the system Hybrid Synergy Drive. 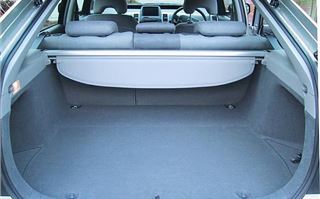 Interior fittings are high quality and rear legroom is almost limo like. The batteries take up very little space directly over the rear axle line. 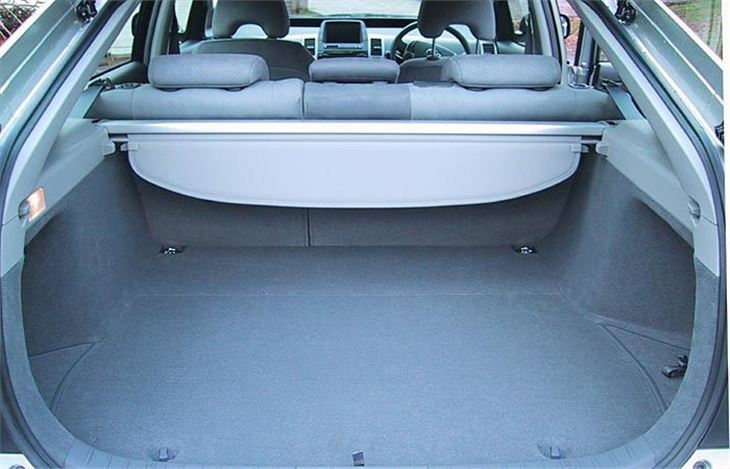 Though the luggage floor is high, it is flat with the rear seats folded and has several compartments underneath which significantly increase its total capacity. A space saver emergency wheel sits right at the bottom. Thinking about the car after my short test drive the surprise is how easy it was to get used to it. 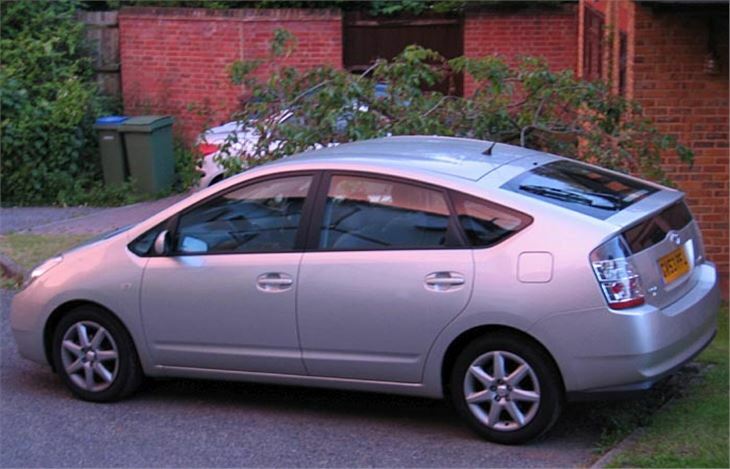 Anyone who can drive at all could drive the Prius II without being conscious that the car was propelled and stopped in an entirely different way than they were used to. Even the steering has feel, the handling is fine and, unlike the Touran, the little windows in the front pillars are actually usable. Whether you feel virtuous driving the Prius or not, you certainly don’t have to suffer. It’s a bit like climbing onto a gentle learning curve, then being surprised and delighted by the new features you discover and your gradual mastery of them.